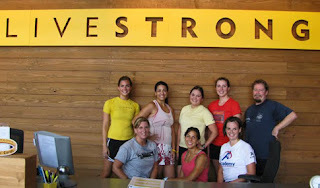 This past month Crossfit Central started a corporate wellness program with the Lance Armstrong Foundation. If you follow my blog you know I am a huge Lance Armstrong supporter. I am excited to be apart of the LiveStrong foundation and suport the staff with health and wellness!